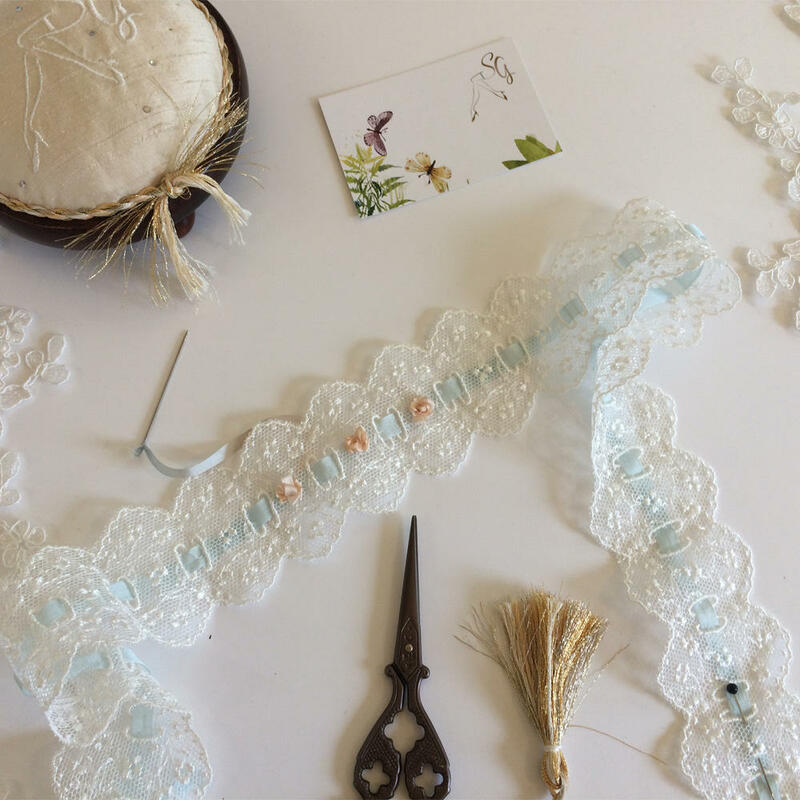 I thought Meghan would see a special connection and choose to use the same companies for her own trimmings and with that in mind I made this gorgeous set! 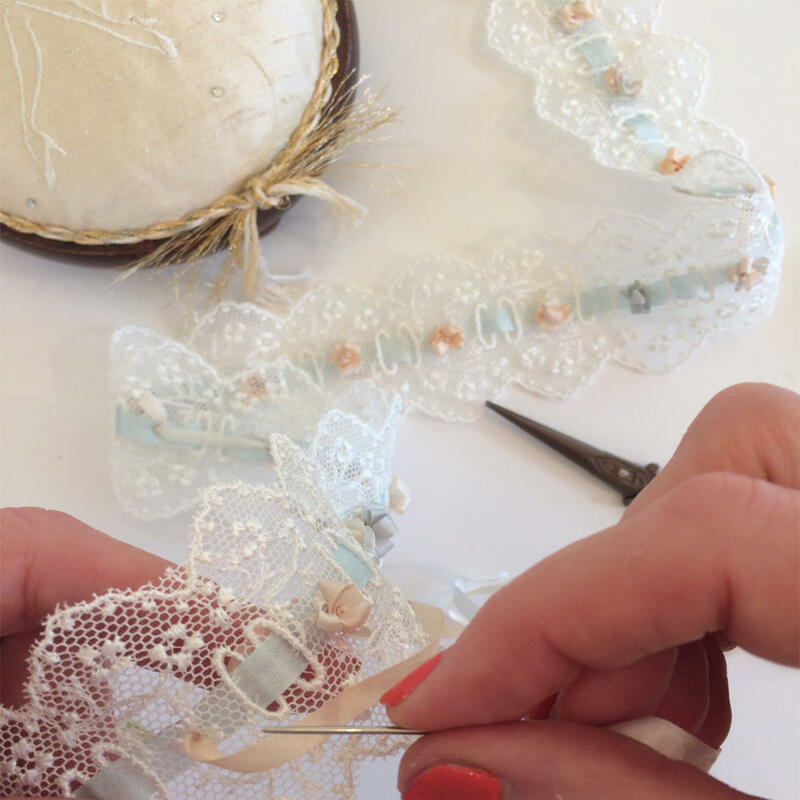 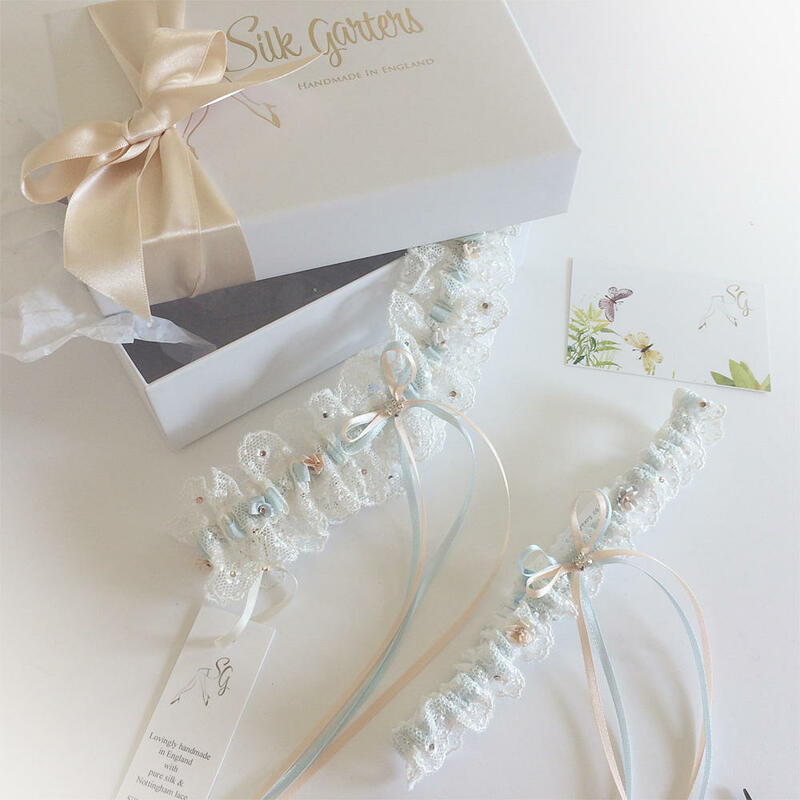 Exclusive cotton embroidered tulle, threaded with silk ribbon in duck egg blue... but then tiny silk ribbon roses are embroidered in the most gorgeous hand dyed ribbon, beautiful muted shades of peaches and greys, each with its own crystal centre of rose gold. 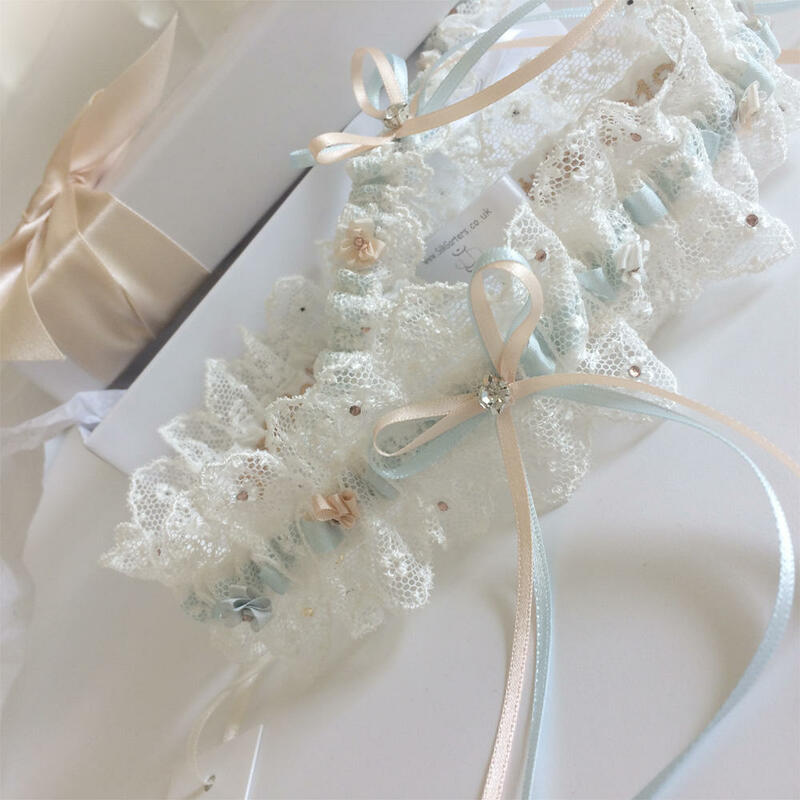 Then tiny rose gold crystals are added to alternate scallops of lace fine double bows and a single crystal finish the set. 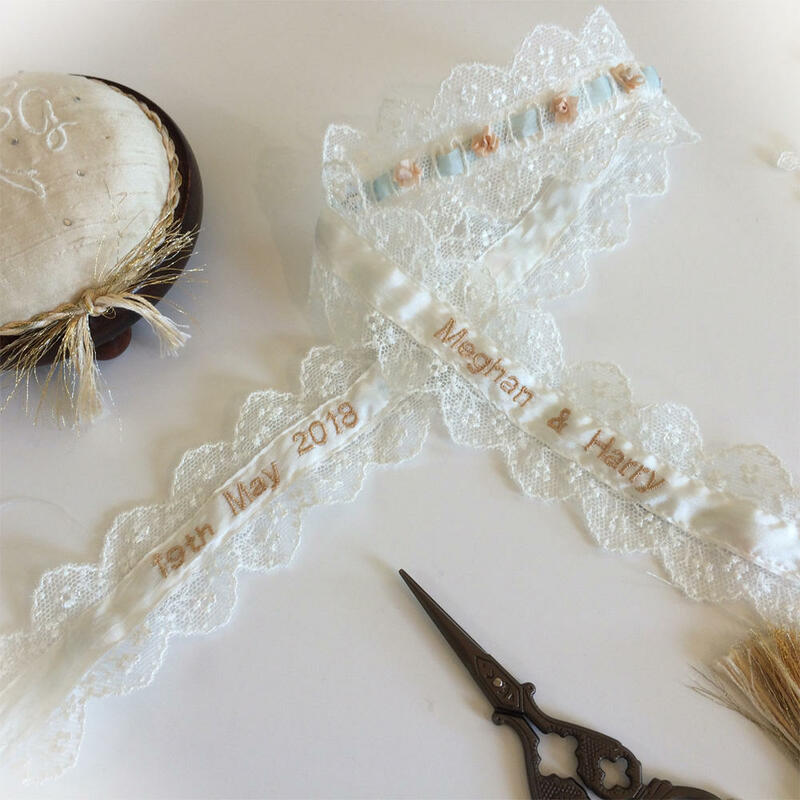 I've made a miniature version for the garter to toss, I hope you love it! 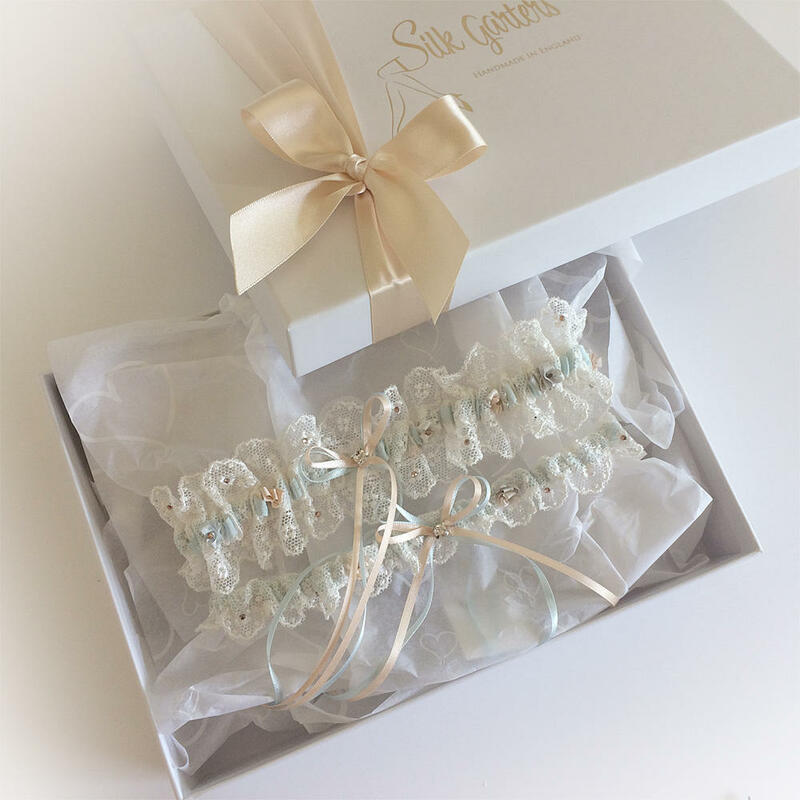 The set comes in a deep luxury 'Silk Garters' box and you can add your names and wedding date inside the garter too!